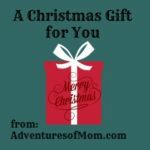 Christmas has come early at the Adventures of Mom, and here is our gift to you to help you through the stressful holidays. 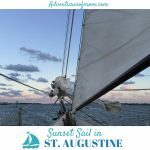 When I was young, I dreamed of sailing on a Windjammer Barefoot Cruise, those tall sailing ships that cruised around the Caribbean in the 1980’s. 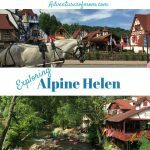 My parents were not the sailing or even boating type, so it wasn’t an inherited gene. I’m not sure whether it was because I always wanted to be a pirate and it was at the time, the modern equivalent to a pirate ship, or because the idea of hanging out on ropes, not wearing shoes and letting the wind carry me to places exotic and unknown sounded like the ultimate dream adventure. New video! 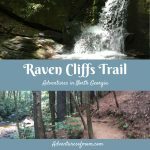 Check out the Raven Cliff’s Trail quick peek video. 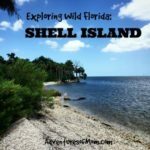 Recently we had the opportunity to take a family trip to Shell Island. 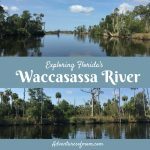 Located at the mouth of Crystal River and only accessible by boat, this has been our (me & the kids) first time on the island, and I was hesitant to post this video as it’s a really neat, uninhabited place, but then my husband laughingly told me that everyone knows about Shell Island! 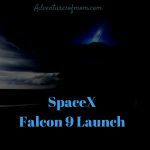 Check out our newest video! 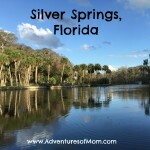 Check out our latest video: a peek into Florida’s Silver Springs State Park.